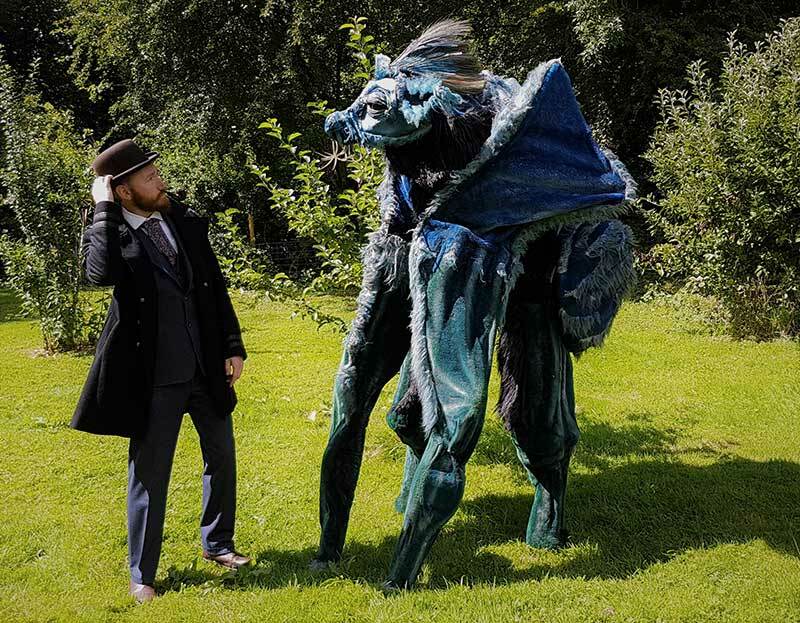 The Incredible Creature is a fantastical mythical creature brought to life by a combination of puppetry and animatronics, with moving facial features (blinking eyes, wiggling ears and sniffing noses) and live sound effects. 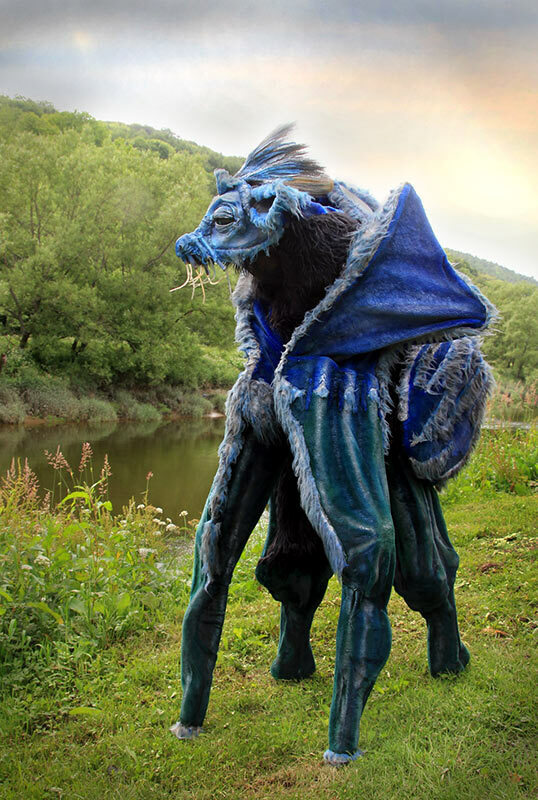 The walkabout mythical creatures is a four-legged and stand at between 8ft and 9ft high. 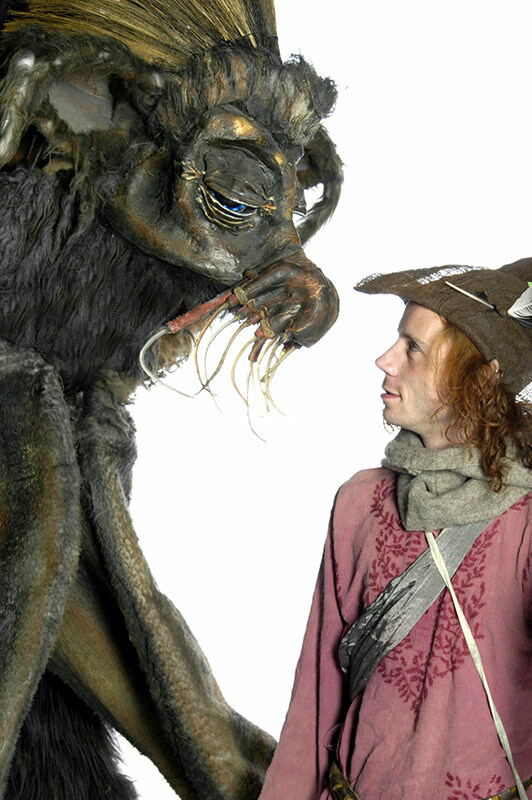 Providing walkabout entertainment, the Incredible Creature is extremely well animated and full of character. 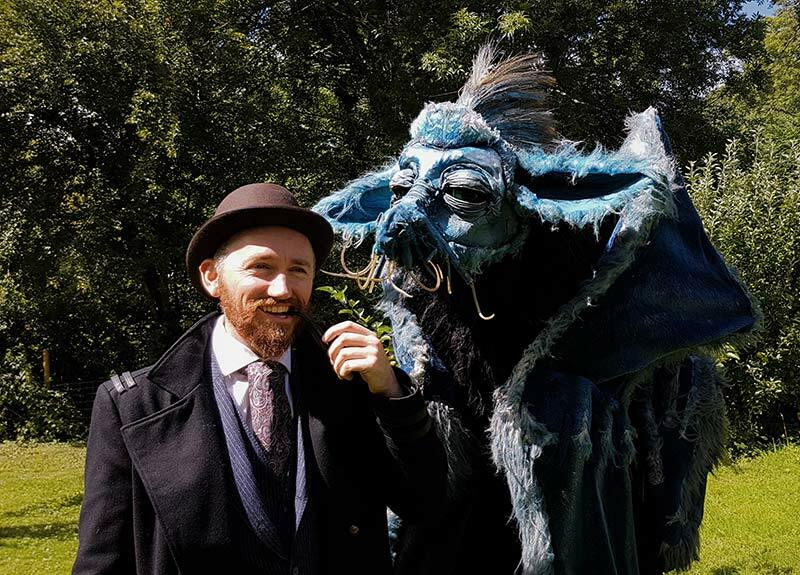 They are playful and highly interactive; audiences can get up close and give them a pat, or even try teaching them some tricks! 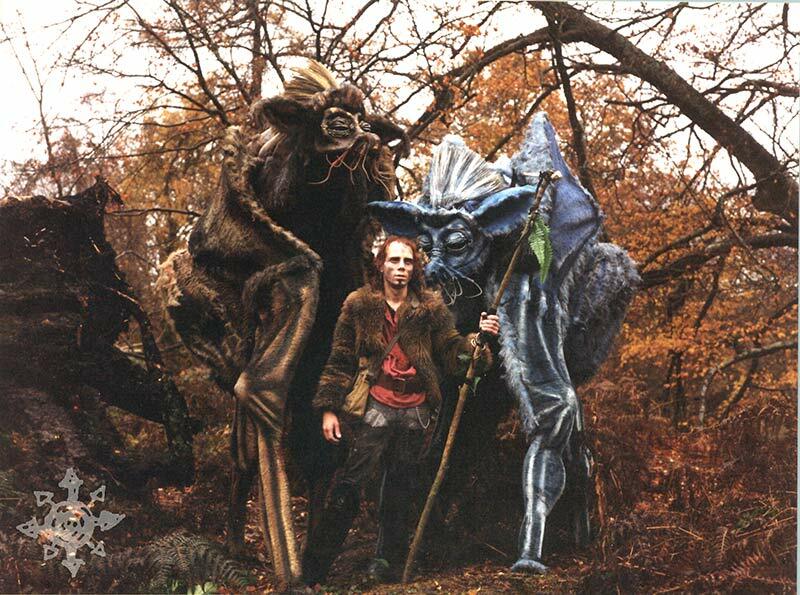 Each creature is accompanied by a companion who facilitates interactions and memorable experiences. 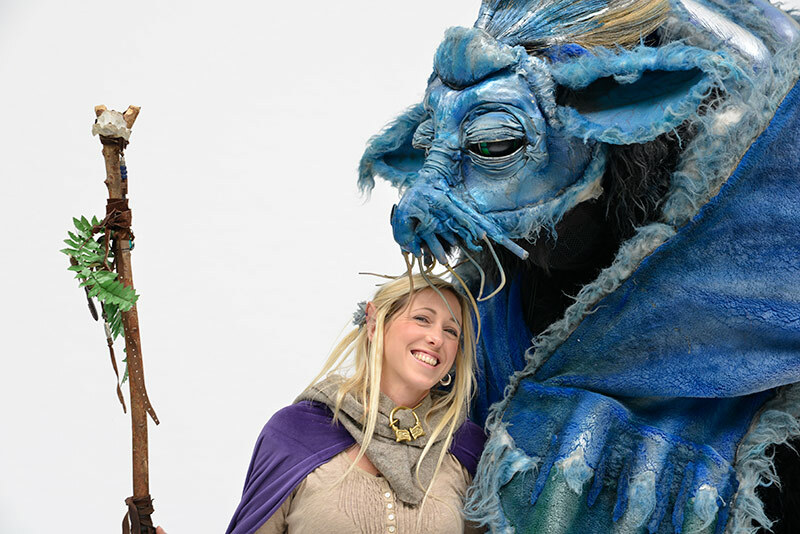 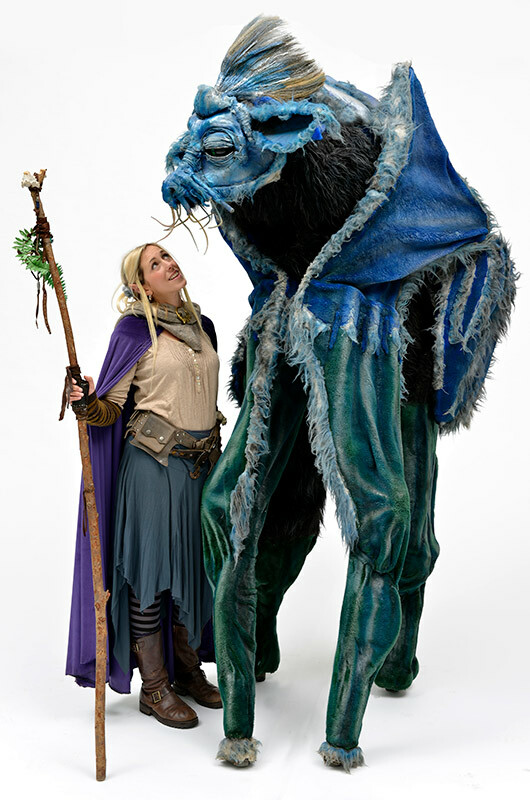 The Walkabout Animatronic Mythical Creature performance can be customised to perfectly suit your event.